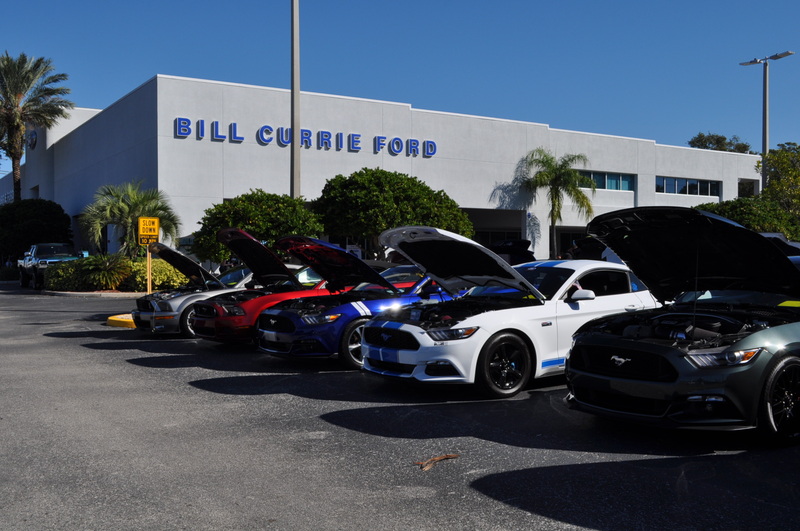 The 6th Annual Pony Party – Caring For Kids Car Show and Charity Event will be held on May 4th at Bill Curie Ford on North Dale Mabry Highway. 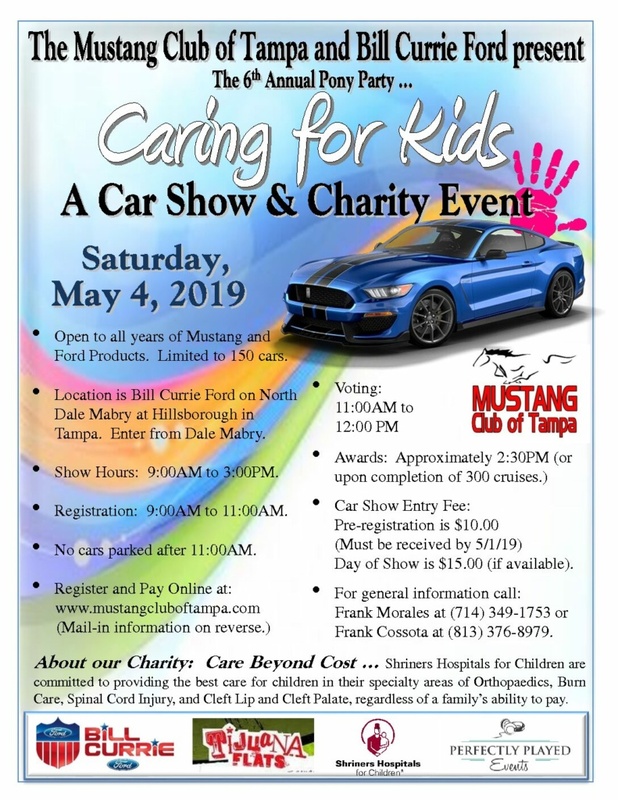 Come out to see some beautiful cars and the chance to help kids in need. No charge to simply come out, support the charity, and see the cars! Shriners Hospitals for Children are committed to providing the best care for children in their specialty areas of Orthopaedics, Burn Care, Spinal Cord Injury, and Cleft Lip and Cleft Palate, regardless of a family’s ability to pay. • Registration: 9:00AM to 11:00AM. • No cars will be parked after 11:00AM. ✓ Lunch will be provided by Tijuana Flats! ✓ Sponsors Choice and Club Participation Awards! ✓ Sorry, No Canopies or For Sale signs allowed! You may also mail-in the registration form located on the car show form below. Frank Morales at (714) 349-1753 or Frank Cossota at (813) 376-8979.